a former ANBU member and the leader of Team 7. Sakumo Hatake, and like him, was a regarded as a genius. subsequently becoming a Jonin during the Third Great Ninja War. earning him the moniker Copy Ninja Kakashi. Note that "Kakashi" can mean "scarecrow." and like him was considered a gifted shinobi. which caused Kakashi to lead his life strictly by the ninja code. His White Light Chakra Saber, for which his father was nicknamed, was given to Kakashi. He went on to become a part of the Team Minato, led by the future Fourth Hokage, Minato Namikaze, with Obito Uchiha and Rin, a medic-nin. Kakashi's relationship with Obito and Rin was very much similar to that of Sasuke's relationship with Naruto and Sakura respectively in which they share a complicated relationship that later developed into a close friendship. In the midst of the Third Great Shinobi War, at a meeting to hear their new mission, Kakashi was elevated to Jonin and received gifts from his teacher and teammates; a special kunai from Minato and a medical pack from Rin. After receiving their gifts, the Fourth informs the team of their mission: they must travel through the Grass Country in the midst of a conflict between Iwagakure and Konohagakure to destroy a bridge. Along the way, Kakashi’s team notices that they’re being watched from the trees by Mahiru, an Iwagakure ninja. Kakashi sees this as a good opportunity to use his newly created jutsu, the Chidori. He arrogantly ran off to attack the hidden foe, only to face off against Mahiru’s multiple Shadow Clones while Rin was captured by enemy Shinobi. Obito immediately stated his intention to rescue her, but Kakashi disagreed on the basis that they needed to complete their mission, opting not make the same mistake his father did. Obito then states that his father was a true hero for protecting his friends. Kakashi parted ways with Obito soon after, and as he reflected on Obito’s words and Rin’s prior kindness, he realized that his father had made the right choice after all. This prompted him to rejoin Obito in the rescue effort, claiming that Obito couldn’t survive on his own. During the attempt to rescue Rin, Kakashi detected a Rock ninja, and yelled a warning to Obito, who was too slow to react. Kakashi jumped in front of Obito to save him from the enemy's kunai, losing his left eye in the attack. Obito, in return, awakened his Sharingan and killed their assailant. The two managed to rescue Rin, however, a rockfall technique was triggered, hindering their escape. It was then that Obito chose to make the ultimate sacrifice, pushing Kakashi out of its path. As he laid there dying, Obito had Rin implant his Sharingan eye in Kakashi’s damaged eye socket, referring to it as a gift, as he had never given Kakashi one before the mission started. He died shortly thereafter. As his first act with his new eye, Kakashi avenged Obito by killing the enemy ninja with his now-perfected Chidori technique. Obito's death had a huge impact on Kakashi's personality. Obito's flaky and unreliable traits were adopted by Kakashi, as we see in his adult age; constantly being late to meetings and making fake excuses to his tardiness. Kakashi also became more mellow, having adopted some of Obito's other traits such as his notion for teamwork. "Kakashi as an ANBU captain.Prior to the Fourth Hokage’s death, Kakashi joined the Konohagakure ANBU where he served as squad leader. During this time, Kakashi rose to fame as Konoha's Copy Ninja, a nickname he earned due to use of his Sharingan eye- having copied over a thousand jutsu. He cultivated a group of students- which included Yugao Uzuki and Tenzo, and recognized the latter as the most successful of this group." Kakashi also developed an ongoing, albeit slightly one-sided, rivalry with Might Guy, with Guy constantly proclaiming that Kakashi was his rival. Kakashi, however, seemed aloof to their rivalry, which annoyed Guy to no end. When given the chance, Guy often challenged Kakashi to contests of skill, in which Kakashi acquired a record of 49 wins and 50 losses in doing so. Given that the contests that make up this figure were so varied, that’s not much of an achievement on Guy's part. Despite the obvious tension around them, Kakashi has come to view Guy as a comrade and close friend. Although it is unknown when or why he left ANBU, it is certain that he left between the ages of seventeen and twenty four. He is never seen without the iron guards on his gloves, a characteristic of ANBU uniforms. "Um, Naruto that was pretty cool and all. But if you lose any more blood, you are going to die." "No, you don't get it, that's why I'm telling you. You think you get it, which isn't the same as actually getting it. Get it?" 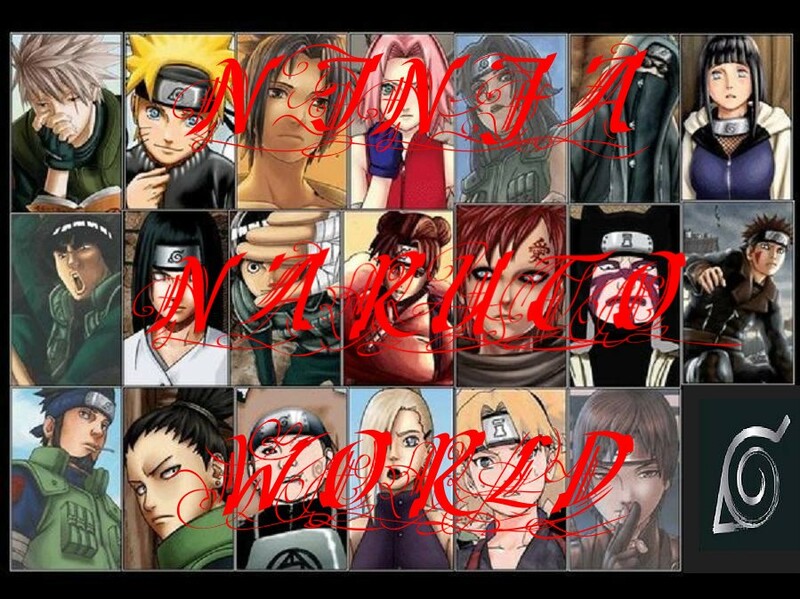 "In the ninja world, those who break the rules are scum. This is true. But, those who abandon their friends are worse than scum." "Give up, what lies in your future is defeat!" "You've really grown, haven't you?" "The Mist is Clearing. Your Future is Death!! "To have a dream you need to have a future . . You don't!" "Quick!!! Close your eyes!!!! Don't look into his eyes!!!!" "Hey, guys. Good morning. Sorry I'm late. Afraid I got lost on the path of life. " "Oh, and if the bait is obvious, don't take it." "Me? I'm Kakashi Hatake. I have no intention of telling you my likes and dislikes. As for my dream... I have few hobbies." "How should I put this? My first impression of you is... I hate you." "Look at it this way, if we fail, we'll only lose our lives." "In this world, there are kids younger than you, and yet, stronger than me." "When I became a Chuunin, I was six years younger than Naruto is now." "Hmm? Did you say something?" "Heh. Your concern is touching. You sure it's not just because you know your guys don't stand a chance against mine?" "I don't care if you are one of the Sannin, the three shinobi of legend. I swear, take one more step towards Sasuke, and one of us will die here." "Behind this mask is...Another mask! Pretty cool, huh?" "Don't mess with the grown-ups, Brat." "I'm the one asking the questions. Now give me some answers!" (Talking to Naruto) "I really like you now!" ""Facts about Kakashi HatakeRDF feed ""
[b]Naruto Uzumaki (うずまきナルト, Uzumaki Naruto) is the main character in the anime and manga series Naruto. Naruto can mean "maelstrom," and is also the name for a sliced stick of Kamaboko with a pink whirlpool design in the middle that is used as a topping for Ramen which is also Naruto's favorite food. The surname "Uzumaki" is a pun on "spiral" (渦巻), while "Uzumaki" refers to a three-dimensional spiral, like a whirlpool or vortex. A more accurate translation for spiral would be "Rasen." The Konoha leaf symbol is drawn with an arrow attached to a spiral, part of the seal on his abdomen is a spiral, the symbol on the back of his jacket and shoulders is a spiral, and one of his attacks is Rasengan, which means "Spiraling Sphere." "Uzumaki" can also mean "whirlpool," in reference to the Naruto whirlpool (鳴門の渦潮), named after the city of Naruto. October 10, Naruto's birthday, was Health and Sports Day ("Taiiku no hi") in Japan when his character was conceived. The holiday, however, was moved to the second Monday of October in 1999. Masashi Kishimoto, the creator of the manga series, stated in a recent interview with the U.S. Shonen Jump that his childhood was like that of Naruto's years while he was enrolled in the Academy. Naruto consistently ranked in the top two (taking first place twice) in the first five official Shonen Jump character popularity polls. However, in the sixth character poll, he ranked fourth. Naruto was born on October 10th to Minato Namikaze the Fourth Hokage, and Kushina Uzumaki a ninja from the former Whirlpool Country, and was named after the lead character in Jiraiya's book. As a newborn infant, the nine-tailed demon fox, which had attacked the village of Konoha, was sealed within Naruto's body by his father. Despite the Fourth Hokage's wish that Naruto be seen as a hero who contained the demon, the villagers of Konoha harbored a fierce hatred for the young child, since he bore the spirit of the demon who decimated their once peaceful village. Naruto wasn't even aware of the presence of the demonic entity inside him until he was twelve years old, leaving him confused for most of his childhood about why the villagers of Konoha hated him so much. Fortunately, Naruto was befriended by his compassionate ninja instructor, a Chunin named Iruka Umino. Though Iruka's own parents perished at the hands of the demon fox, Iruka didn't blame Naruto for their deaths. Instead, Iruka accepted Naruto and empathized with the boy's desire to be accepted, since he too once had the same desire. He may have been the first person to believe in Naruto, and has made a lasting impact on Naruto himself. It is through Iruka's presence as Naruto's only family figure that Naruto learns to overcome his sadness. "Naruto and the demon fox"
As the host of the demon fox, both Naruto's body and occasionally his mind are influenced by it. Physically, Naruto has some of the demon fox's characteristics, such as whisker-like marks on his cheeks and larger than normal canines. His eyes are also somewhat slitted like a fox. He also has increased stamina and healing ability, which allows him to recover from major injuries within a day and minor injuries within a few seconds. Mentally, Naruto remains largely unaffected, save for a few animalistic traits that slip through, such as his occasional tendency to leap between trees on all fours. Since the demon fox was sealed inside Naruto at birth, it is unclear just what parts of his personality it has had an effect on; however, it could explain Naruto's devilish side for pulling pranks to gain attention, as well as his stubbornness to never back down from a challenge. These traits become more pronounced as he draws upon the demon fox's chakra. Naruto's normal chakra level is considered extremely high, partially because of the demon fox. Even without directly drawing upon it, a small amount of the demon fox's chakra is always mixed with his own. His body instinctively rejects the bulk of it due to the damage it would cause. Ebisu implies that Naruto's poor chakra control stems from this, as a portion of his chakra is used to reject the overwhelming fox chakra. According to Kakashi, Naruto's regular chakra level is about double that of Kakashi's own. As such, he is naturally suited to jutsu that use a large amount of chakra, such as his signature jutsu: Shadow Clone Technique. While most ninja are only capable of creating a few clones safely, due to the jutsu's hazard of equally dividing the user's chakra among the clones, Naruto is able to create upwards of two thousand while maintaining a decent supply of chakra in each one. "And my dream is to be the greatest Hokage! That way people will stop disrespecting me and start treating me like I'm somebody. Someone great!" "I'll never go back on my word, that's my nindo, my ninja way!" "Why is it always about him, 'Sasuke! Sasuke!'?" "My name is Naruto Uzumaki, and I'm gonna beat every one of ya, believe it!!" "No one talks down the third and forth Hokage like that, and gets away with it!! I don't care even if she is a lady!! I'll knock the silly smirk off her face!!" "Facts about Naruto Uzumaki RDF feed"
Sasuke Uchiha (うちはサスケ, Uchiha Sasuke) is a main character in the anime and manga series Naruto. Sasuke's given name comes from the legendary ninja Sarutobi Sasuke. His surname, Uchiha, is another way of pronouncing "uchiwa", or a paper fan, which is actually the Uchiha clan symbol. Uchiwa cannot be folded. In contrast, Ōgi, which Temari uses as her weapon, can be folded. Although both uchiwa and ōgi produce wind by fanning, the former is used in more practical/everyday situation such as cooking or commoners cooling themselves down during a hot summer day. The latter is considered to be more formal. Uchiwa can be used to fan flames, making the flame hotter — referring to the fact that the Uchiha is a clan of fire-jutsu users. In Shonen Jump's June 2006 edition, Masashi Kishimoto (in Kakashi's voice) remarks that while Sasuke is a genius, he is a little dull to teach because he learns everything easily compared to the less predictable Naruto. In Shonen Jump's character popularity polls, Sasuke usually ranked the 3rd or 4th spot for the majority of the series. More recently, however, he has been ranked at 1st. A Genin-rank ninja, Sasuke is the natural genius offspring of the once powerful Uchiha clan. One of the more outstanding clans in Konohagakure, the Uchiha clan was known for its kekkei genkai, the Sharingan, as well as their use of fire element jutsu after their country's namesake. Like most of the Uchiha clan members, Sasuke's chakra has an affinity for fire based jutsu. The clan also formed much of Konohagakure's village police force. Sasuke is one of three known remaining survivors. The second son of a Konoha police captain, Sasuke grew up in the shadow of his older brother, Itachi. Itachi was an acknowledged prodigy who graduated at the top of his Academy class at age 7, mastered the Sharingan by age 8, became a Chunin at age 10, and an ANBU squad leader at the age of 13. The Uchiha clan took great pride and interest in Itachi and viewed him as a genius whose work would further strengthen the bonds between the village and the clan. In particular, Sasuke's father took an active interest in Itachi. Itachi, on the other hand, was rather ambivalent and full of oddly conflicting undercurrents, acknowledging Sasuke by taking interest in his progress as a ninja when even their father did not, but spending little quality time with Sasuke. Even after Sasuke enrolled in the Ninja Academy, he still was unable to escape Itachi's shadow. Despite consistently scoring at the head of every class, Sasuke failed to receive any recognition from his father, who defined Sasuke's success only in terms of his older brother. Itachi acknowledged the rivalry Sasuke felt, telling him, "We are unique siblings. I am the barrier you must overcome, so you and I will continue to exist together." Itachi's relationship with his father deteriorated further when Itachi was questioned by other members of the Uchiha clan regarding the death and suicide note of his best friend, Shisui. As Itachi's behavior became increasingly bizarre, Sasuke's father, on a whim and partly due to Itachi's growing distance, decided to spend time with Sasuke. He taught him the Great Fireball Technique, a common family jutsu. Sasuke (age 7 at the time) eventually succeeded in performing the jutsu in front of his father after only one week of training, surprising him. At that moment, Sasuke finally received his father's recognition; the Uchiha clan considered the ability to perform fire jutsu as proof that one had become an adult. Sasuke's father told him that he could now proudly wear the clan's emblem on his back. More forebodingly, Sasuke also received a stern warning not to follow in Itachi's footsteps. Shortly thereafter, Itachi massacred every member of the Uchiha clan, sparing only Sasuke. Itachi said that Sasuke was not even worth killing. However, Itachi's real plan was to kill Sasuke after he activated his Sharingan, so he could take his brother's eye for the Eternal Mangekyo Sharingan. In addition, Itachi told him, "You've always wanted to surpass me. That's why I'm going to let you live." Itachi also revealed to Sasuke where the secret meeting place of the Uchiha was hidden and suggested that Sasuke go there to learn what the true history and purpose of the Sharingan is. Sasuke collapsed, and awakened in the Konoha hospital to overhear villagers gossiping about the destruction of his clan. He escaped the hospital and wandered the village, remembering happy times with his murdered family and finally collapsing into tears as he reached the spot where his parents were killed. He then traveled to the Nakano shrine and found the secret of the Sharingan that Itachi promised him. Whatever he read there only seemed to harden his heart, and from that point forward, Sasuke's life was dedicated to vengeance against his brother. "My name is Uchiha Sasuke. There are tons of things I dislike, and I don't particularly like anything. And, I don't want to use the word dream, but I have an ambition. The resurrection of my clan, and definitely to kill a certain man." "Come to think of it, isn't your dream to become Hokage?" "What do you know about me, with no siblings or parents?! You were alone from the start! What do you know?! Huh?! I suffer because of the bonds I once had. You don't know what It's like to lose all that!" "I didn't want to give him the pleasure of seeing me gain power by following his ways. I merely spared your life on a whim." "You're annoying. Since we started, you're the same. You'll never understand what Loneliness truly is!" "Sakura, Thank you for everything"
"If you have the time to chase after me, then you should be training. Isn't that right, Naruto?" "Seems this isn't the first time you've seen the Sharingan. If so, then you are the Kyubi." "It's true that you're special. However, I'm more special than you!" "I, will not do as you say. I will obtain power in my own way. I will surpass you in my own way! Definitely." "Don't worry, I'm all right. It's only the power flowing through me. In fact, I've never felt better. He gave me this gift. And he made me understand who I am. I'm an avenger. To follow my path I must have power at any price, even if it means being consumed by evil." "Hey, you aren't hurt are you? Scaredy cat?" "If that's what happens then that's what happens, you still think like a kid Naruto. My revenge is everything to me and as Long as I can Exact it, I don't care what happens to me or anyone else." "I wasn't able to do anything!" "What can I do to get stronger?" "Damn! He's catching up inch by inch!" "There is nothing left you can teach me." "What do I see, Itachi? With the power I've gained, I see one thing, and it's crystal clear. I see you. DEAD." Gaara is known as "Gaara of the Desert" and is an infamous genin from the Hidden Sand Village. To most of his opponents, he appears to be a stoic and completely ruthless enemy, so one would never guess that his life was full of tragedy. Gaara was born as an experiment for the Hidden Sand Village, in which they combined his spirit with that of a demonic sand spirit called Shukaku in order to make him the village's ultimate weapon. As a result, his mother died while giving birth to him, and her spirit became a shield of sand that protects Gaara against any attack. Because of the evil spirit sealed within him, Gaara was feared, loathed, and ignored my nearly all the people in the village, much like Naruto was. As a result, he grew up without ever knowing what love was, and because his shield of sand would always protect him from harm, he never even knew what pain was either, except for the pain in his heart. Even his father, the village's hokage Kazekage, treated him like he was nothing more than a possession. The only one who was kind to him was his caretaker, Yashamaru, who was also the brother of Gaara's mother. Yashamaru taught Gaara the difference between physical wounds and wounds in the heart; the former can be cured by medicine, while the latter can only be healed by love. Although Gaara knew only the pain in his heart, Yashamaru explained to him that the sand which protects him is a symbol of his mother's love. Gaara first came to Hidden Leaf Village during the chuunin exams, along with his siblings Temari and Kankuro. Right away he made an intimidating impression on the other ninjas. He was paired up to battle Rock Lee in Round Two, and he probably would've killed him if Gai hadn't interrupted their fight. After Round Three of the exams was halted because of Orochimaru's attack on Hidden Leaf Village, Gaara's Shukaku became even more uncontrollable, until it was finally the one controlling Gaara! Naruto was forced to fight the powerful Shukaku with his own powers from the Nine Tailed Fox spirit inside him. Naruto sympathized with Gaara because they were both the same; born with evil spirits inside them and shunned because of it. After an intense and difficult battle, Naruto finally defeated the Shukaku which brought Gaara back to his senses. After losing to Naruto and experiencing the unfaltering determination that Naruto fought with in order to protect his friends rather than himself, Gaara began to branch away from his cold and selfish outlook on life. Later on, the Hidden Leaf and Sand Villages became allies, and Gaara, Temari, and Kankuro were dispatched to assist Shikamaru's team on a mission. Gaara ironically came to help Rock Lee, and although he still fought with a rather passive attitude, it's obvious that he now feels a bit more obliged to use his powers to protect others as well as himself. If there is anyone else you want to know more about, just message me on who it is and I'll start working on it!